With the need of better website and apps, User interface (UI) and user experience (UX) design have become a vital element in its success or failure. There is no pointing in creating something that your potential users aren’t looking for. The following post emphasizes on what to do and what not to do when it comes to mobile UX design. Useable: One of the prime needs of a mobile app is that it has to be effortless concerning usage. It needs to be designed in such a way that it becomes straightforward and intuitive for the end user. Useful: As the term implies, an app needs to fulfill the requirement of the end user. In case, if the product fails to fill in the gap in a user’s life, it will be a significant turn-off for them. Desirable: User Interface (UI) design requires to be aesthetically pleasing as showcasing visual design components definitely plays a major role in creating a positive emotional attribution. UX designers these days are expected to take in every detail of the interactions a user has with a mobile app. Without having a thorough understanding of user behavior, the product won’t be able to satisfy the needs of the end user. Have you ever wondered what makes a successful UX design? Understanding complete user behavior this includes what motivates them, what they desire for, needs in the context of the product’s purpose. Being dynamic is the end goal of a UX design, and this cannot remain constant as UX requirements will change with time, all thanks to the new and upcoming technology development and feedback of your end user. Further below I would like to mention a few useful tricks and tips to keep into consideration. #1 Research well– One of the best ways to come up with a successful creation is by doing thorough research. While doing research don’t forget to note down ideas the reasonable ones before proceeding the designing part. Relax, breathe, take some time out before initiating a new project and practice some mobile application design mockups in prior. Well, they don’t have to be perfect, but it must have a gist about what your app’s end design will look like. Try shortlisting some app designs that can help in creating a user experience that syncs with the targeted audience of the mobile app. #2 Include Essential Functionalities– Next thing coming in the way is prioritize mobile app features. Several mobile app developers end up adding a ton of new functionalities and features which might result in complicating the app’s end result. This could be a major turn-off so make sure to include the essential features that are required in your app. These functionalities are pretty crucial for the app’s proper functioning with a much simpler UX. #3 Keep it minimal– Minimalism is the key to success. This perspective has grown over and over because in today’s era a mobile app needs to be super functional. Staring from in-app purchase to registration, the aspect of being superficial can be applied to a number of such different processes. This definitely improves the overall mobile app UX. Here the approach is to present the user with only what they need. Psychologically, this is a smoother way to introduce the user to your app effectively. In addition to this, you can also lessen the load of information that the user needs to memorize. 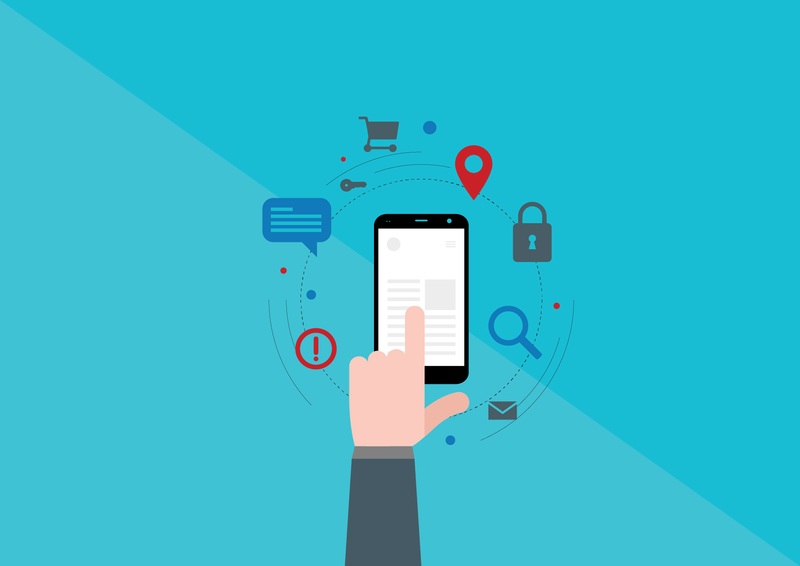 Check out these two principles are the guiding strategies in providing the user with an exceptional mobile user experience. #4 Declutter– Do not keep this mindset of the more, the better because that never works in a mobile application. Providing too much information to the end user all at once might spoil their user experience. Applications that operate on smartphones with smaller screens are impacted the most by it. Being a web designer, one must be able to design UX that comes under the category of minimalism. #1 Don’t go over the top– Do you find yourself among those professionals who have this motto of getting it right for the first time? Is so, you might not succeed! Designing a mobile app is not a one-time process that you can get over in the single attempt. It requires multiple iterations and years of experience to reach the level of perfection. It’s all about trying every possibility of the app’s functioning with a different set of requirements. #2 Excessive Scrolling– If you think your end user would have ample of time to scroll, then you are entirely wrong! Living in today’s fast-paced world, nobody likes to navigate all day long so try to keep pages short and break things up in a beautiful manner. Moreover, you can also think of adding tabs or navigation to move things to separate sections or pages. If you’ve got a lot of content for a feature, try adding a button with a catchy call to action that users won’t be able to resist to take them to the next page. #3 Avoid Jargons- Web designers in general always tend to add jargons on the frequent basis make sure to avoid this at all cost. You are a techie, but your end users may not be, so get rid of them. Apart from this, mobile apps with user interfaces that are free from jargon look more appealing to the app users. Think this way, when you are having a conversation with some. I am sure you wish to create a flow of information that is not restricted by any means and can be easily comprehended. As a result, the interaction between the user and the interface much more simplified. Rooney Reeves is a content strategist and a technical blogger associated with well known firm for eTatvaSoft – Web, e-Commerce & WordPress Development Company in India. An old hand writer by day and an avid reader by night, she has a vast experience in writing about new products, software design and test-driven methodology. Her write-ups mainly features anything and everything related to the web!